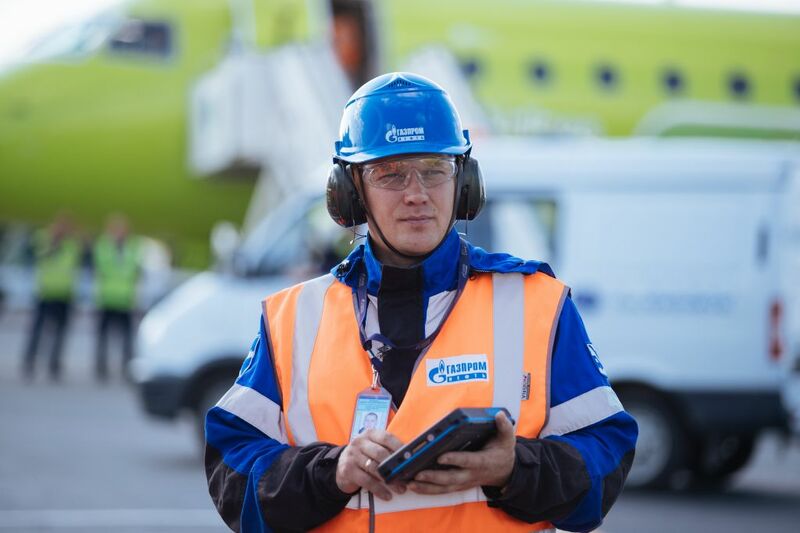 Gazpromneft-Aero, operator of the Gazprom Neft aviation refuelling business, and S7 Airlines have developed and implemented blockchain-based joint smart-contracts (aviation fuel smart contracts — AFSC), improving speed and efficiency in reciprocal settlements in aviation refuelling, as well as automating planning and accounting in fuel supplies. This is the first usage of distributed ledger (blockchain) technologies on the Russian market. With its help, aviation companies now have the opportunity to make instant payments for fuel directly on refuelling aircraft, without pre-payment, bank guarantees or any financial risks to the parties involved — an approach resulting in manifold improvements in the speed and efficiency of financial transactions, as well as reductions in labour costs. 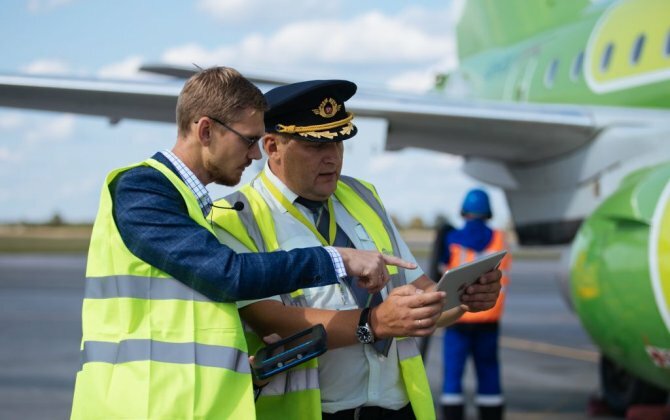 In initiating a smart contract through the AFSC system, S7 Airlines transfers information on the planned refueling of a future flight to Gazpromneft-Aero, fixing the initial fuel volume, and its price. Data is used to assign the technical task to a tanker driver, at the airport. On the day of refueling, the airline pilot asks the operator for a specific volume of fuel, through the system, following which an online application is sent to the airline’s bank to hold the required amount on account. Instant confirmation from the bank initiates the refueling process. The service completed, payment is settled, with the fuel supplier and airline’s commercial departments being sent information on the completion of refuelling, together with all accounting documents. Thanks to blockchain technologies, data on refuelling operations is guaranteed to be securely stored in the AFSC system. All operations are undertaken exclusively on the basis of a digital contract approved by both parties, eliminating the possibility of any breach of contractual terms and improving transparency in accounting. 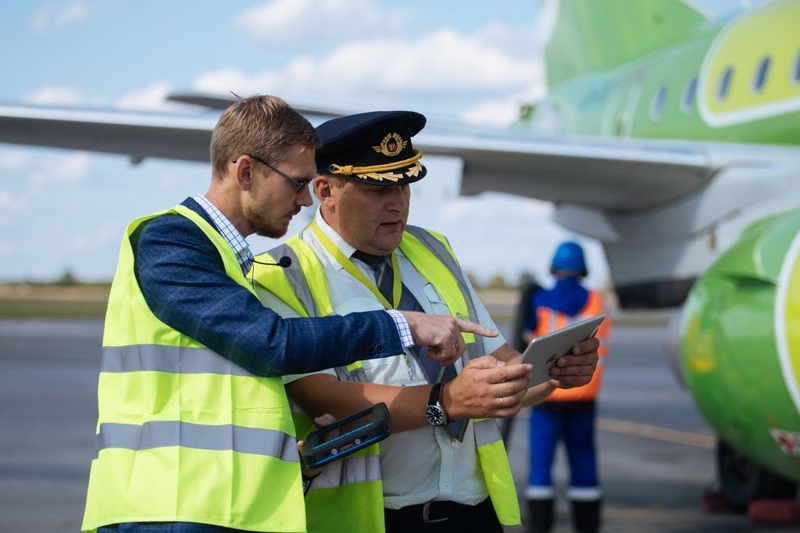 The first refuelling of a S7 scheduled flight using this new technology took place at Tolmachevo airport (Novosibirsk), where a Gazprom-Aero refuelling complex is located.